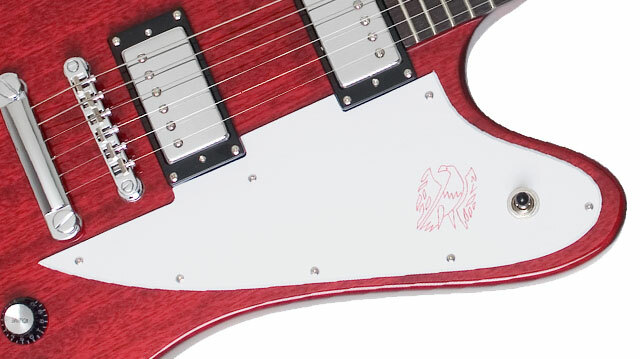 The Firebird was the first guitar made at the the legendary Kalamazoo factory to use neck-through construction and was part of a series of unique instruments drawn up by car designer Ray Dietrich. Ray was commissioned by Gibson’s Ted McCarty to create new and radical designs for Kalamazoo-made electric guitars. Dietrich's designs included the Flying V and the Explorer. Many in the industry were skeptical when these futuristic looking instruments were first released. 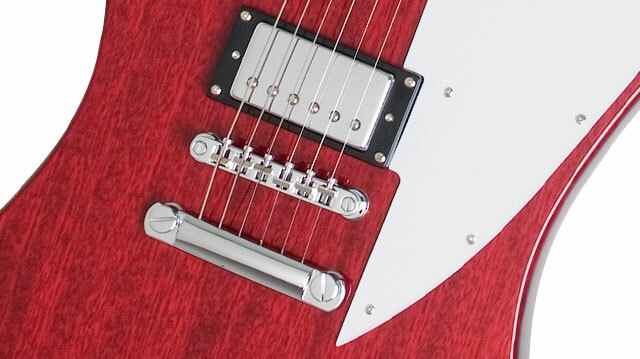 The angular Firebird didn’t look like any guitar on the market when it was debuted in 1963. But now, the Firebird has become a staple axe of rock and roll guitarists and a wide range of artists including Keith Richards and Brian Jones of The Rolling Stones, Stephen Stills, and Tom Petty have made the Firebird a hit maker. Now, Epiphone has brought back the once limited edition legend with the stunning, no-frills Worn Firebird Studio with a worn Cherry color finish. The Firebird Studio features our Limited Lifetime Warranty backed by world famous 24/7/365 Gibson Customer Service. Visit your favorite Authorized Epiphone Dealer today and make a name for yourself with the Firebird Studio. Controls Neck Volume, Bridge Volume, Neck Tone, Bridge Tone, with full-size 500K O potentiometers. mahogany is one of the best tonewoods for guitars with tonal characteristics similar to Korina. The Firebird Studio features a solid mahogany body using the same dimensions as the original with a glued-in mahogany neck that has a 24.75” scale and a SlimTaper™ profile. The rosewood fretboard as a 12” radius, a 1.68” nut, and features pearloid dot inlays. The power of the Firebird Studio comes from our classic Alnico Classic™ humbuckers, which have all the subtle tonal colors and warm crunch found in classic PAF humbuckers. Like all Epiphones, the Firebird Studio comes with all-metal hardware made to last a lifetime. Along with premium die-cast tuners, the Firebird Studio includes our LockTone™ Tune-O-Matic StopBar bridge and full-function classic black volume and tone knobs for each pickup using full-size 500K O potentiometers.